Winter hopefully is starting to loosen its grip. Last week we had a little warming trend it was above freezing for a couple of days. It started to feel a little like Spring was in the air, I even heard the “cheeseburger” bird. 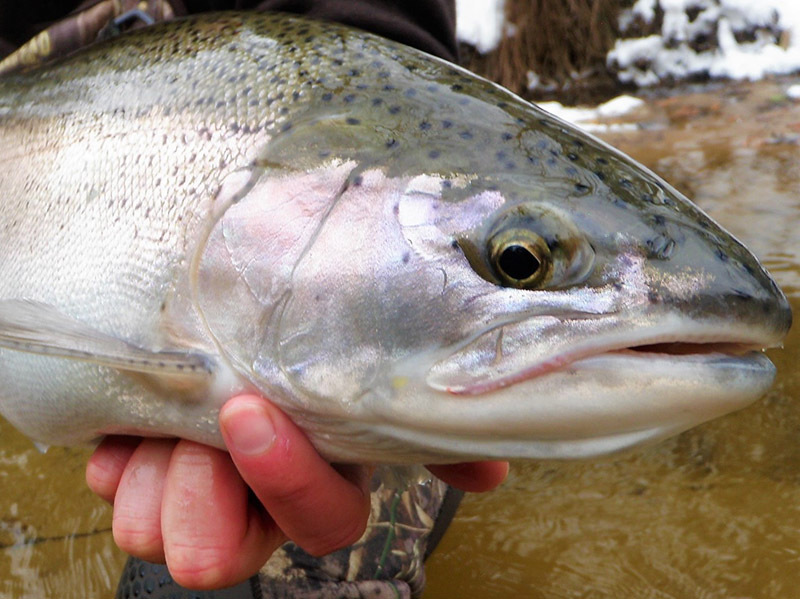 With nicer weather I hit the river a couple of times with hopes of finding some Steelhead before the weekend. Which was a little busier, I can’t blame anyone for wanting to get out on the river or just do something outside when the weather is nice. I’m sure Cabin fever has set in hard for a bunch of Michiganders’. 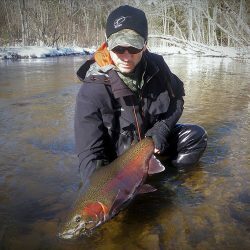 Steelhead fishing on the Pere Marquette was decent last week. 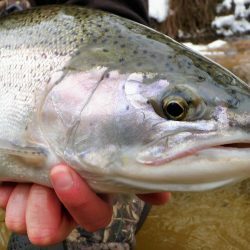 Not much for new Spring fish really showing up yet just tangled with one brighter Hen, other then that mostly Fall/Winter fish in the system. 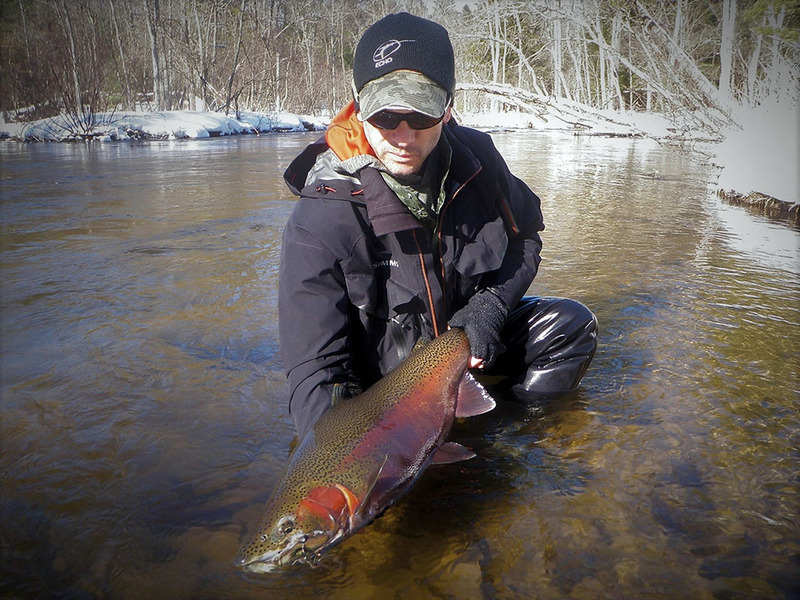 The river is pretty low in the upper stretches but still holding some color. Middle to lower a little higher and little more colored. The water is cold and will become colder when it warms due to the fact we have a lot of snow pack up here. 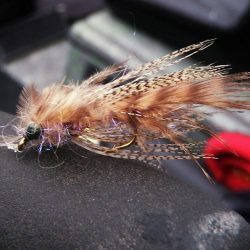 Nymphs fished really well last week, try little Stoneflies and Hex’s fished off the bottom under a Indicator. Slow the presentation, is key right now even with swinging. 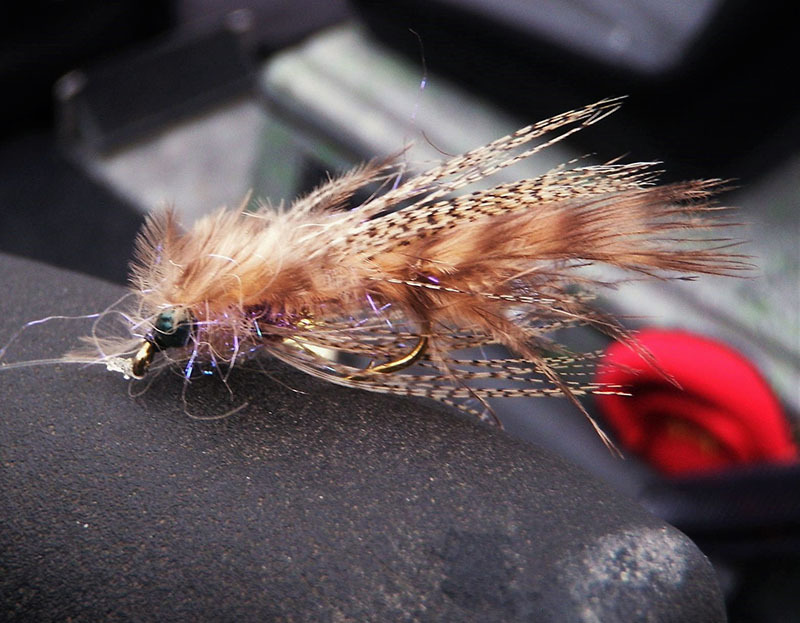 Swing bite has been decent, baitfish or intruder style patterns.